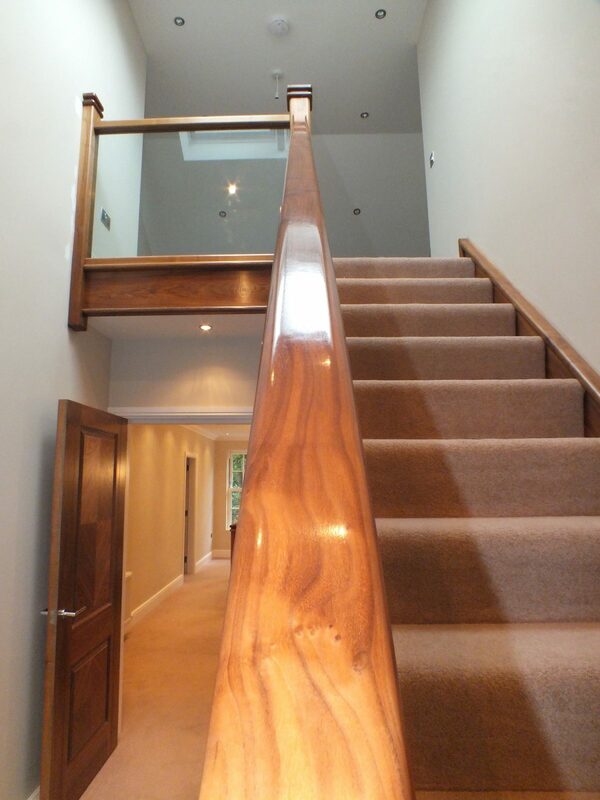 Walnut, a material that can only be described was regal to work with and shape, when a client chooses walnut we need to make sure that there home is one that can match the impact that walnut has. 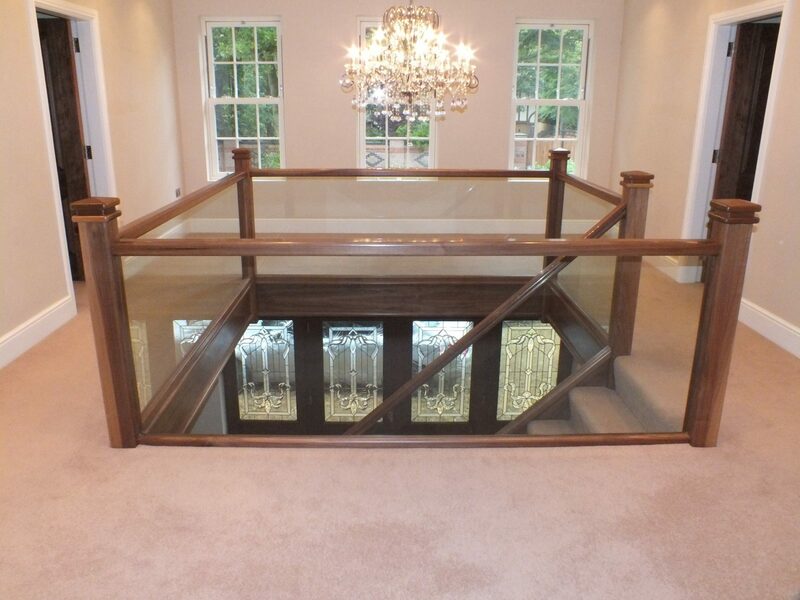 This house has ornate chandeliers, big box frame windows and an overall classical feel, which is perfect for walnut. 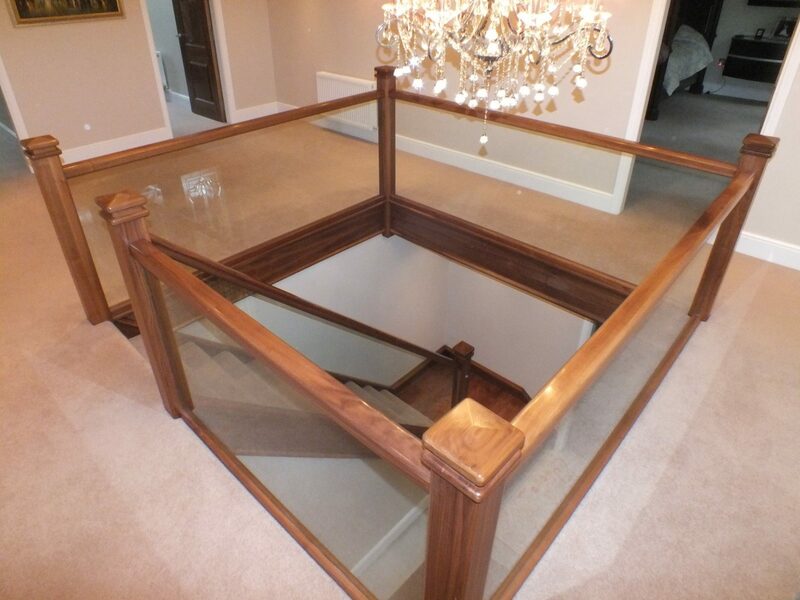 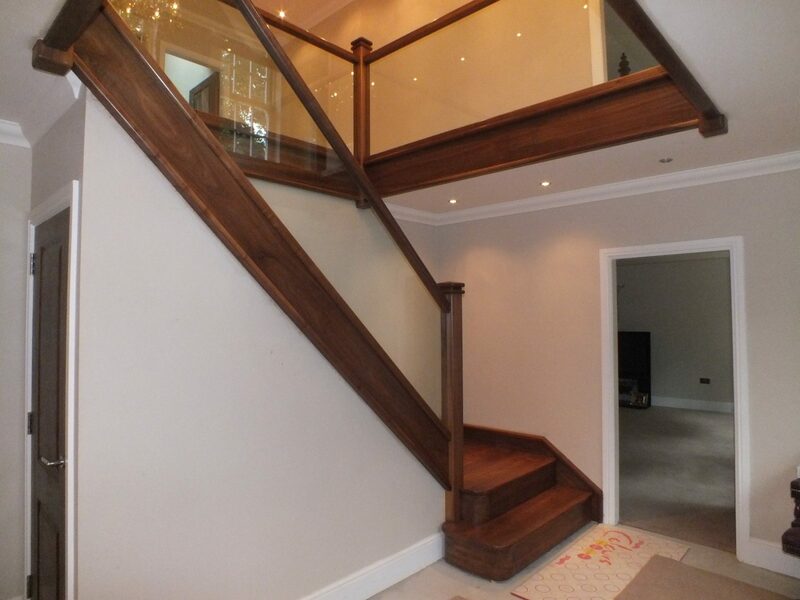 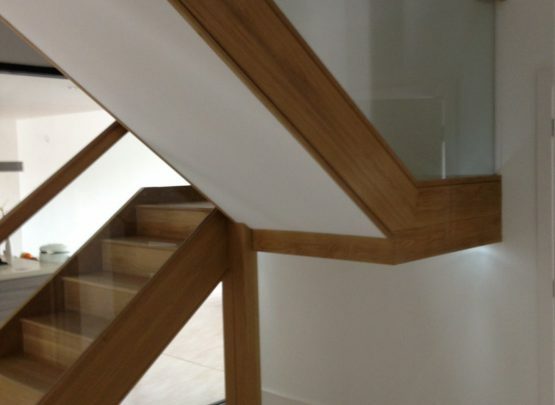 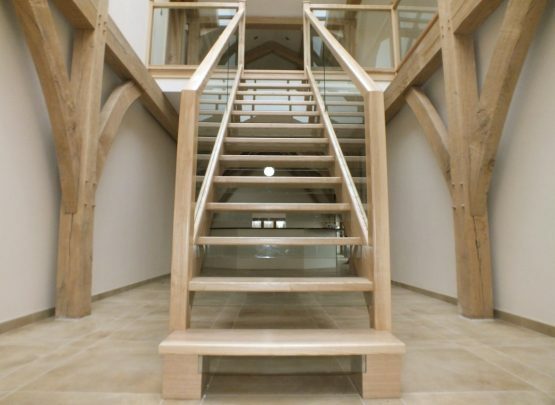 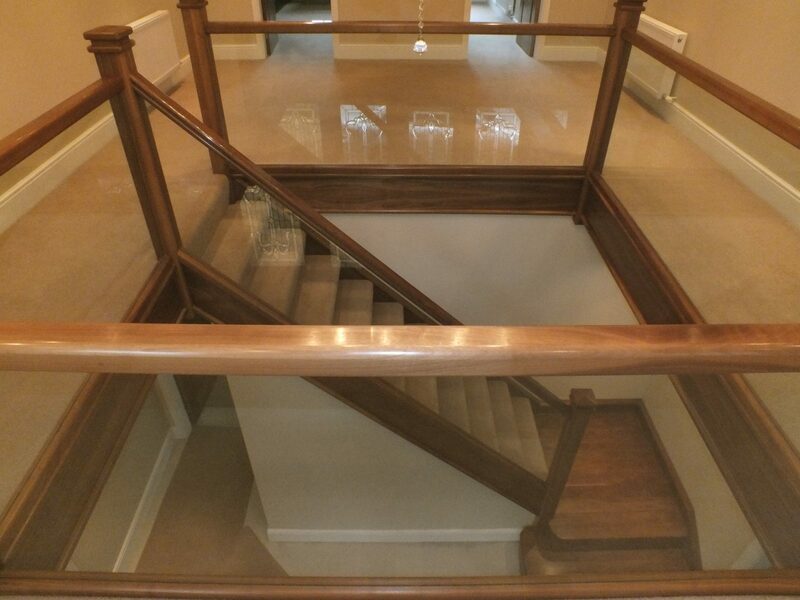 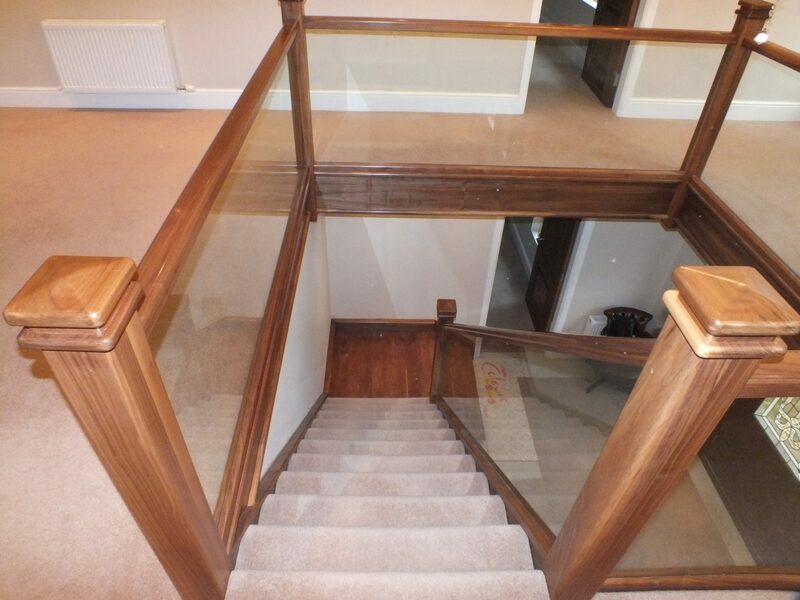 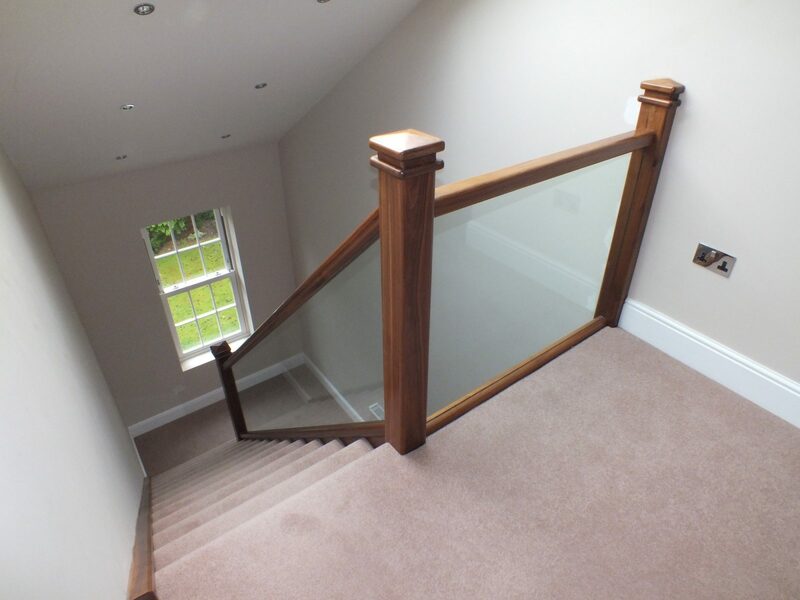 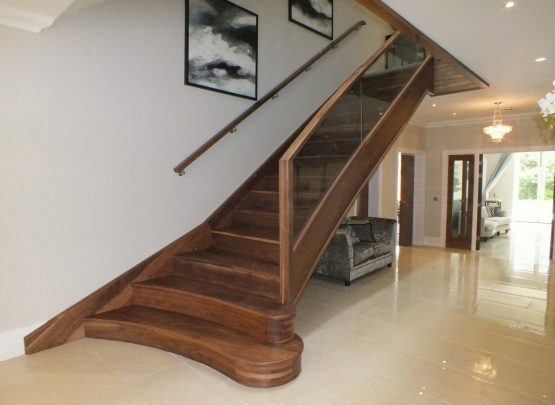 With this our client needed to make their staircase original, standing out from more traditional staircases, therefor they opted for glass, embedded into the handrail and base rail to make up their balustrade, this way the staircases acts as a lens for the rest of their home.